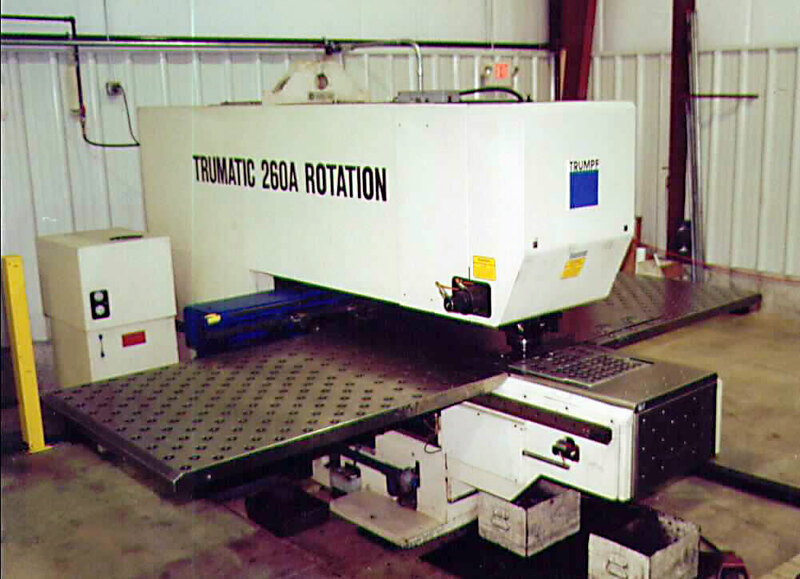 Trumpf CNC Punch Press with 10 tool capacity. Normal 51″ x 82″ work area, longer length with repositioning of part. 1/4″ thickness capacity.